Spent yesterday morning luring the morning outgoing tide with Dad. Was quite uneventful really! We went up and down various 'arms' of the Haughton throwing lures at some really good looking country. 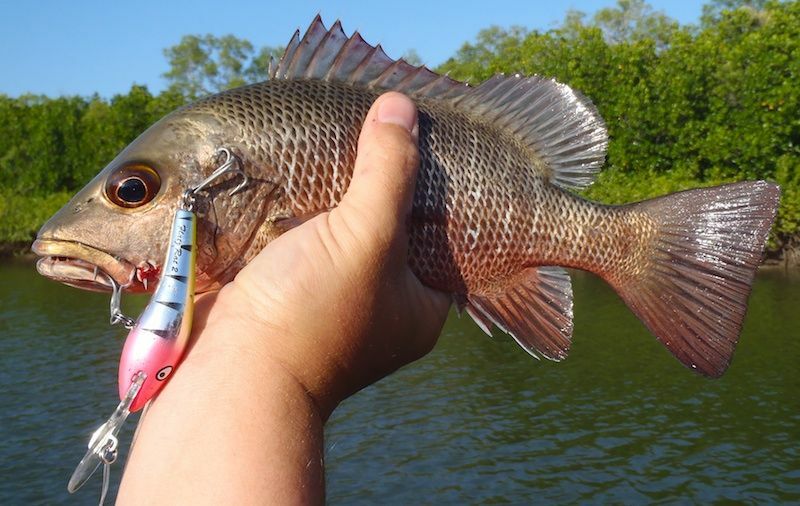 We managed a couple of small Jacks to 35cm and a flash or two from a Barramundi. 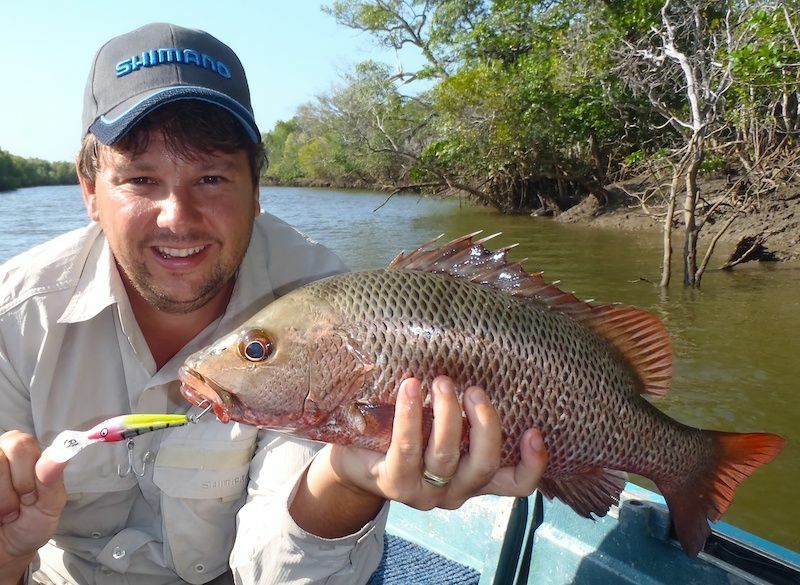 But despite the quiet morning I was rewarded for my thousands of casts with a PB Mangrove Jack. At 47cm he was a ripper. Hit my little Flatz Rat in 'Ice Tea' like a freight train, buried me in the snags in the blink of an eye. But with a bit of to and fro-wing he eventually came free. Realising with the fish sitting beside the boat that we didn't have the net it was a quick lift and held breaths to get him in. Went back there today with Tania and the kids to see if its just lures that are not working for us. But even with bait we found the fish quiet. I had a nice live mullet out all morning and didn't even see a run from a fish. I had one Jack burry me hard on a half pillie and Tania caught two small catfish that had our hopes up. But for the morning we would hardly have used a dozen Pillies! Time for us to look elsewhere, the Haughton just isn't playing the game at the moment.